Welcome to Vol. 4 Issue 1 of the VOX-Pol Newsletter. Our colleagues at University College London (UCL) will be organising a Comparative Internet Strategy Workshop in mid-2017, precise date to be confirmed shortly. This London workshop will focus on comparing and contrasting the online strategies adopted by a diversity of violent extremist actors, including violent jihadis, national-separatists, the extreme right, and the extreme left. Further details will be posted on our website within the coming weeks. VOX-Pol’s second Training Academy, a week-long event dedicated to exploring various topics at the nexus of violent extremism, terrorism, and the Internet, will be held during Autumn 2017; dates and location to be confirmed shortly. Participants should be professionally tasked in the area of violent online political extremism, including for example, law enforcement officials, policymakers, social media company representatives, etc. The first Training Academy, held in September 2015, included topics such as history of violent online political extremism; in-depth studies of types of violent extremisms, including the far-right, violent jihadis and lone-actors; ethics and politics of monitoring violent political extremist content online, and more. For information on the content of the previous Training Academy, see HERE. Further information will be published on our website as soon as it becomes available. If you would like to register your interest in advance, please contact trainingacademy@voxpol.eu. VOX-Pol’s Dr. Paul Gill contributed to the Asia Pacific Association of Threat Assessment Professionals Annual Conference, which took place in Singapore from 13 – 15 February. Paul presented on ‘Sequencing Lone-Actor Terrorist Pathways: Offline and Online Activities’. In his keynote address, he shed light on how the ‘risk’ of engaging in terrorist activities crystallises across multiple behaviours and vulnerabilities coalescing in space and time. VOX-Pol Programme Manager, Lisa McInerney, participated in the EU’s Radicalisation Awareness Network’s (RAN) Communication and Narrative’s Working Group latest meeting in Brussels on 13 – 14 February. The meeting focused on how to measure the impact of online counter or alternative narrative campaigns, with the aim of making it easier for campaigners to evaluate and measure impact. A VOX-Pol Blog post detailing some of the matters discussed is HERE. On 8 December 2016, Lisa McInerney presented a selection of VOX-Pol research to representatives of EU and EEA states and social media companies at the second meeting of the EU Internet Forum in Brussels. 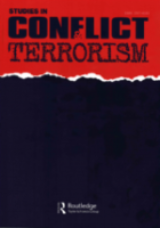 The research presented included Dr. Paul Gill et al on ‘Online Behaviours of Convicted Terrorists,’ which synopsises two complementary pieces of research on online behaviours of convicted UK terrorists and attack plotters; a draft report entitled ‘Violent Extremism and Terrorism Online in 2016: The Year in Review,’ authored by VOX-Pol’s Coordinator, Prof. Maura Conway (Dublin City University); and a case study of live-streaming of terrorist attacks, including consideration of the potential future live video streaming of attacks by the perpetrators. VOX-Pol’s Dr. Kate Coyer and Lisa McInerney participated in a series of meetings of the United Nations Counter-Terrorism Committee (CTC) on preventing terrorist use of the Internet at UN Headquarters in New York from 30 November – 1 December, 2016. Dr. Kate Coyer, Director of the Civil Society and Technology Project, Central European University, a VOX-Pol partner, contributed to a panel on ‘Privacy and Freedom of Expression in the Digital Age’. VOX-Pol’s Programme Manager, Lisa McInerney, was a panelist for ‘Counter-messaging and community engagement’, along with senior representatives from UNESCO, Google, and Twitter. Dr. Caterina Froio joined VOX-Pol in December 2016 as a VOX-Pol Research Fellow, affiliated with the Oxford Internet Institute. In December 2015, she was awarded a research grant from the City Hall of Paris for a research project dealing with far right ‘othering’ discourses online in France. She is currently expanding upon this work within the broader context of Western Europe as part of her VOX-Pol Research Fellowship. 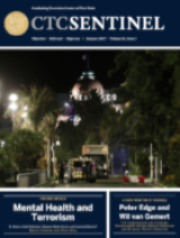 UCL’s Dr. Paul Gill and Ms. Emily Corner published an article in the January 2017 volume of entitled ‘Is there a Nexus Between Terrorist Involvement and Mental Health in the Age of Islamic State?’ in Vol. 10. Iss. 1. of CTC Sentinel. The study examines the link between mental disorders and terrorist engagement in the wave of Islamic State-linked terrorism experienced in the West in recent years. The full paper is available free-to-access HERE. A revised and updated version of Dr. Paul Gill et al’s 2015 free-to-access VOX-Pol report What are the Roles of the Internet in Terrorism? Measuring Online Behaviours of Convicted UK Terrorists appeared as ‘Terrorist Use of the Internet by the Numbers: Quantifying Behaviors, Patterns and Processes’ in Vol. 16, Iss. 1 of Criminology and Public Policy in February 2017. The article can be accessed HERE. On 3 Feb., the Washington Post published an op-ed by Mr. J.M. Berger, VOX-Pol’s 2016 Conference Keynote Speaker, entitled ‘The Trump Administration is Showing White Nationalists It Won’t Fight Them At All,’ which can be accessed HERE. VOX-Pol Visiting Researcher Mr. Ryan Scrivens was quoted in a VICE article on Canadian right wing extremism, available HERE. Dr. Paul Gill was quoted in a New Republic article on a right-wing lone actor in the US, available HERE.